The Minced Pork with Preserved Egg Congee 皮蛋瘦肉粥 had the right consistency with dimensional flavors. The evident combination of ginger and sesame oil helped to minimize the aroma of sulfur and ammonia from the cured egg. 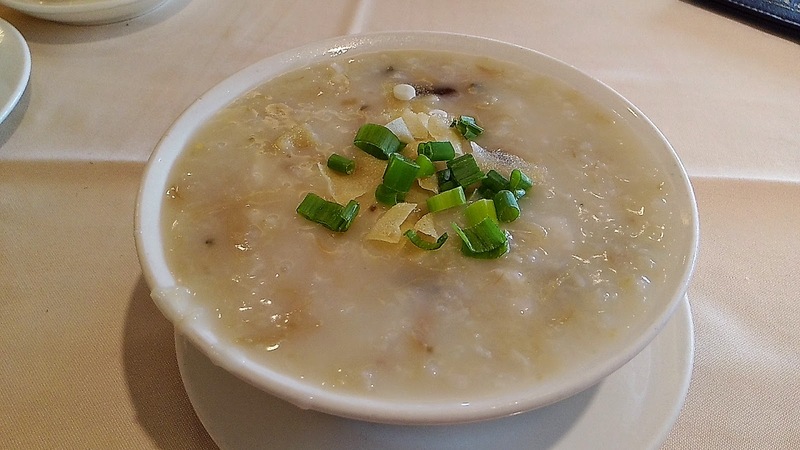 Other than the pork being a bit heavy in soy, this was a good porridge. 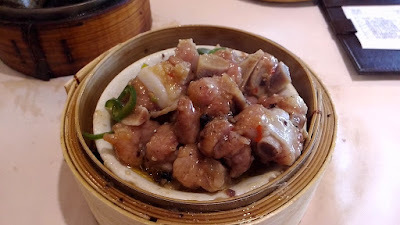 The Steamed Pork Dumplings 魚子燒賣皇 (aka. siu-mai) is a dim sum staple but our order looked quite deformed. While the filling had a balanced ratio between fat and meat, the shrimp was not too detectable. The filling was overly sweet, simply a MSG-overdose. Buddha Boy and I were disappointed with the Steamed Rice Rolls w/Chinese Donut 炸兩腸粉. The rice wrap itself was decent - thin, soft and tasted fresh. The utterly dry donut was depressing. It was simply re-frying day-old (or even, days-old) doughnuts to get the crunchy texture. Not recommended. 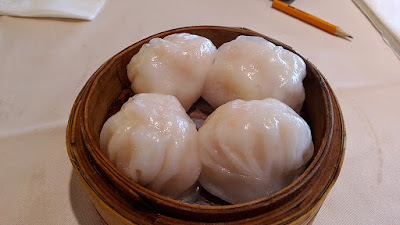 Har-gow, another dim sum staple one must order. 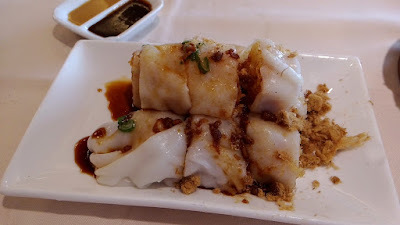 The Steamed Prawn Dumplings 食為先蝦餃皇 had an overly thick and sloppy wrap. The shrimp itself had that elegant textured bite and was pleasantly seasoned. 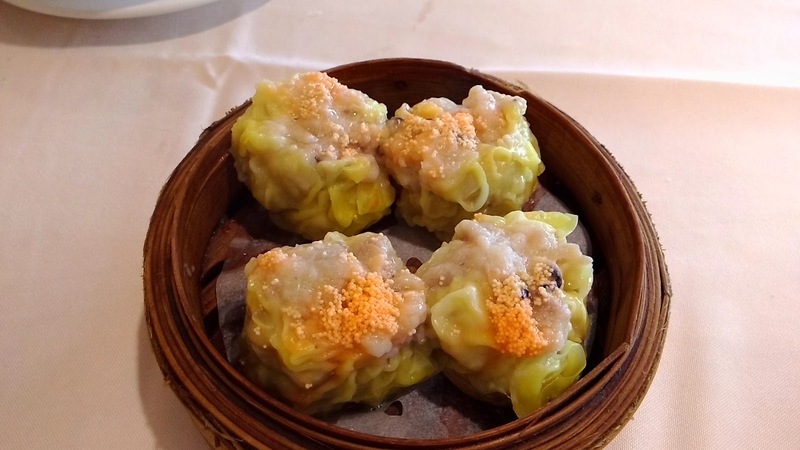 We enjoy the filling, but there's something off with that dense and clumsy dumpling skin. 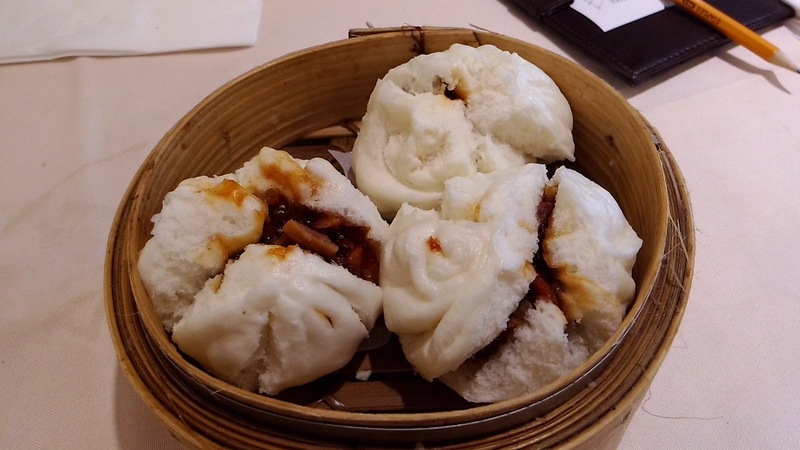 My favorite dish was the Steamed Barbeque Pork Bun 蜜汁叉燒包. The dough was airy and delicate. The generous pork filling was chunky and meaty with an obvious hint of star anise. While some may find it overly sweet, I thought it had just the right level of sweetness. After having the disappointing sticky rice wrap at Fraser Court Seafood Restaurant 紅日大酒家, Buddha Boy just had to satisfy his craving. 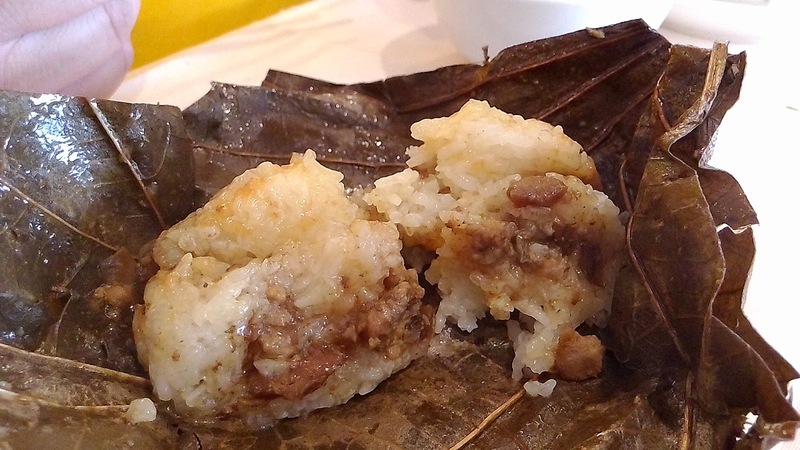 The outer coat of this soft yet chewy glutinous rice had a nice gentle scent of lotus leaf. The inner filling had a soy-based blend of shitake mushrooms and pork. 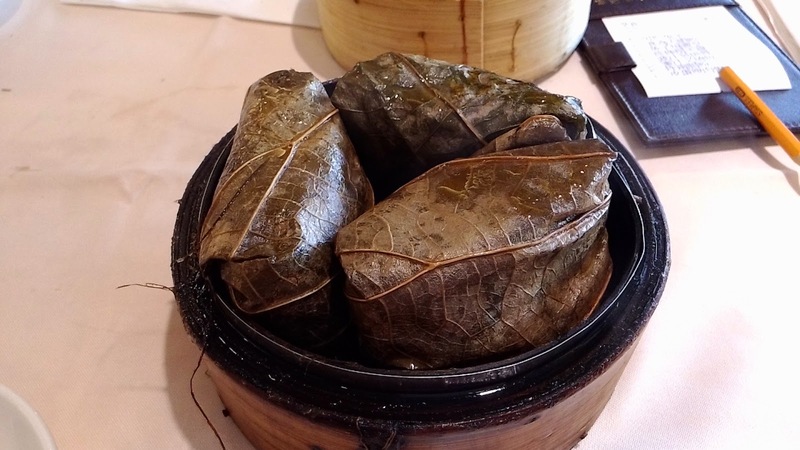 While nothing fancy, the Glutinous Rice Wrap 珍珠糯米雞 was acceptable. The Steamed Spareribs with Black Bean Sauce 豉汁蒸排骨 were cooked timely so that the meat kept its tender crunch. The unusual part was the strong presence of black pepper, which muted the fundamental black bean sauce. 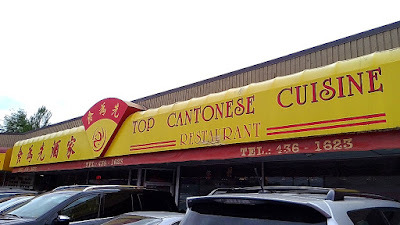 The food was overall decent. 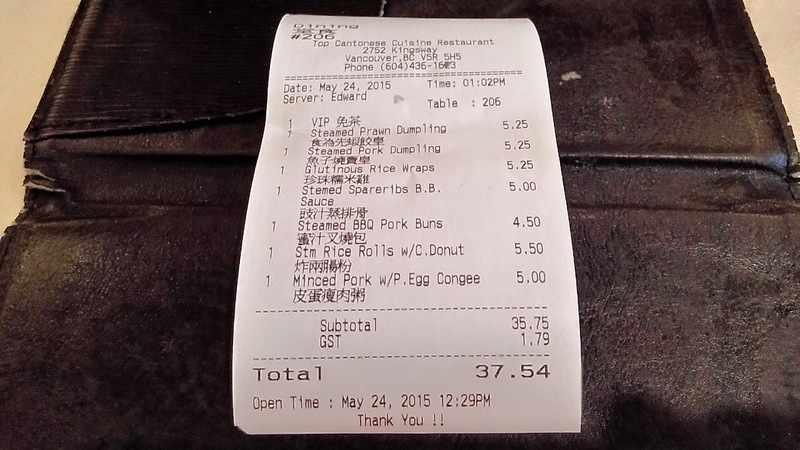 Consider the higher than usual price points, we expected better than usual service. Ha...sure...what service? Not only we had to wave a few times just to get our orders in, it was hard to even find a server with the time to refill our tea pot. Moreover, after asking over and over for extra napkins, my temper-less husband walked up to the cashier/bar area and threw an attitude, "do you guys even have napkins?" So, in conclusion, would we return? No. I remember getting a near MSG-headache from Top. Never again ! I know what you mean...we had a MSG attack after having their food...gross. It's quite sad how they just use MSG to enhance the flavors to match the higher price points.